Die hewige polemiek oor die regering se planne om gesondheidsorgdienste te nasionaliseer, raak elke inwoner van die land. Enersyds kan net sowat 15% - 20% van die land se inwoners deesdae 'n omvattende mediese fonds bekostig en andersyds is die openbare gesondheidsektor só ondoeltreffend weens kritieke geld- en personeeltekorte dat pasiënte daagliks sterf of ure lank moet wag vir basiese voorskrifmedisyne. Mediese sorg by die oorvol klinieke is in die meeste gevalle ook beperk tot pynpille en antibiotika . . . Text by Ashleigh Furlong. Photos by Masixole Feni. 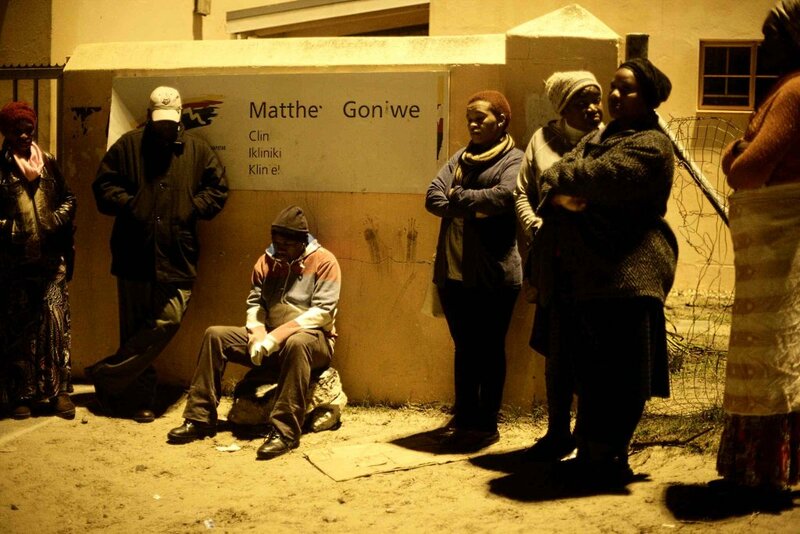 It is 5:40am on a misty Friday morning and there are already a group of people huddled together on the stone bench outside Town Two Clinic in Khayelitsha. Many of them have been here since 4am as they know that by 7:30am, when the clinic opens its doors, the queue will reach down the street. The first patient in the queue, Nelson Nyudu, says that he will probably be seen at 8 or 9am, more than four hours after he arrived at the clinic. Regardless of the weather, patients must wait outside as the clinic does not open its doors before 7:30am. Mange, who suffers from asthma, says that she hasn’t got the money to travel to other clinics in the area, where patients are allowed to wait inside before the official clinic opening times. “What we would like to see the clinic do is to allow patients inside,” says Nyudu. Many patients waiting outside Town Two Clinic claim that they experience further delays once the clinic finally opens. They say patients picking up their medication and patients waiting to see the doctor all wait together and that this causes delays. The problem “is the process. 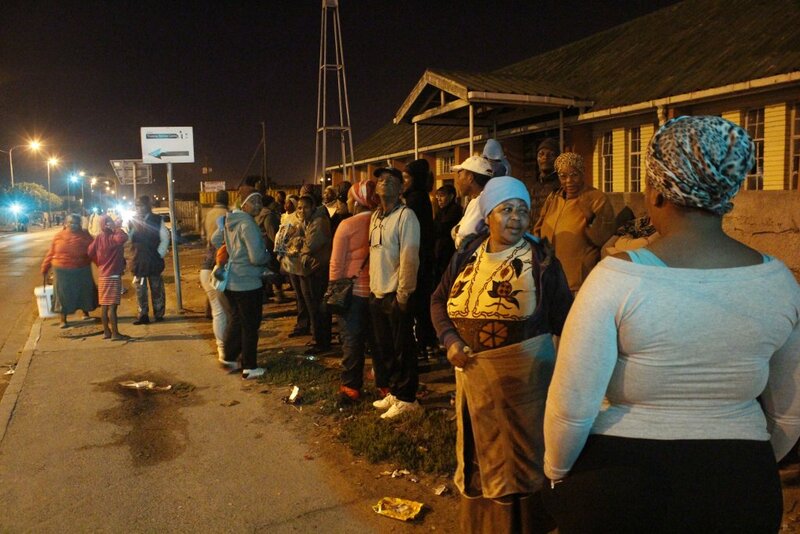 They don’t have a strategy,” says Noni Sopapaza, another patient waiting in the queue. Patients say that their folders are regularly misplaced, causing further delays once they are inside the clinic. Less than three kilometres away is Matthew Goniwe Clinic where the situation is very much the same. It is 6:30am and a number of people are waiting outside the clinic. Patients say that they expect the clinic to open at 7:30 or 8am. The issue of misplaced folders again appears. “Sometimes they can’t find your folder. And they will ask where you put your folder,” says Joyce Malibuye who is first in the queue. When this happens the patients say that they are sometimes asked to come back the following day or the clinic staff will open a new folder for them. Champion acknowledges that facilities are very busy and that patients often wait for long periods of time. “Our facilities [in the Western Cape] open at 7:30am and we encourage clients not to arrive at the facility before the opening times. Hence we have an appointment system which clients are encouraged to utilise and to honour their appointments,” says Champion. Champion says that patients are categorised according to the seriousness of their illness or injury and that if a patient is coded “red”, which is indicative of a life-threatening injury, they will be seen immediately thus causing delays for patients coded “orange”, “yellow” or “green”. She also acknowledges that the retrieval of folders contributes to the long waiting times. “Improvement systems are being rolled out to facilities within the province. In some cases this includes electronic systems and in others merely small infrastructure and flow improvements,” says Champion. Champion says that the Western Cape Department tries to accurately predict patient volumes and to allocate staff and resources effectively but that this can be difficult when patient flow is unpredictable. She says that remedying the problems faced by patients at clinics is a high priority for the province. Clinics around the country experience similar problems. Elizabeth Mahlangu is a patient at Daveyton Main Clinic in Ekurhuleni and says that patients face numerous challenges when they go to the clinic. The clinic also does not have a permanent psychologist; instead one psychologist rotates between four clinics in one day. South Africa has about 4,200 public health facilities servicing nearly 14,000 people per clinic. There are approximately 216,000 medical practitioners. According to Health Systems Trust, the public sector services 80% of the population. Patients typically wait several hours for service. Again the issue of lost files resurfaces. The last time that Mahlangu was at the clinic she was told that her file was missing, meaning that a new file had to be opened. Medicine shortages have also resulted in Mahlangu not receiving her medication. Portia Serote who is the Treatment Action Campaign’s (TAC) national women’s representative says that TAC is very concerned about the clinics around Daveyton. She says that the shortage of staff is a major cause of the problems. “They [the patients] chose to go to work to put bread on their family’s table rather than going for treatment as they are told to come back on other dates,” says Serote. Serote, who is also chairperson of the clinic committee, says that the clinic receives more than 10,000 patients a month who are on antiretroviral treatment for HIV and this pressure on the facility is increasing as patients with HIV now begin treatment earlier. She confirms that filing systems are problematic and that files often go missing. Serote says that nothing is done to address issues of infrastructure and shortage of staff. “Some of the head facility managers are forever covering up [problems] and when the department comes down to check on the problems [the head facility managers] do not list the challenges that they are having,” says Serote. In Daveyton Main Clinic she says that nursing sisters are often moved to departments where there is an influx of patients, despite the nursing sister not being trained to work in that particular department. “Last month, one of the nurses who is not working in antiretroviral treatment gave a patient two drugs instead of three because it is not his specialty and he is not trained in doing that kind of job. Even in the TB department, one patient with drug-resistant TB was misdiagnosed,” says Serote. Joe Maila, who is the spokesperson for the National Department of Health, says that the large number of patients who visit health care facilities result in the queues and that the Department is finding ways to resolve the problem. 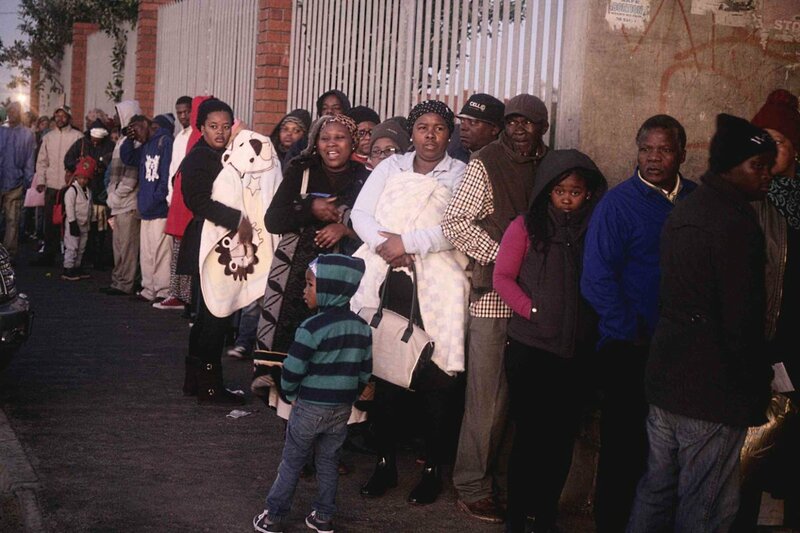 “One of the ways of reducing queues is to roll-out chronic medical supply. So that patients who do not need to be consulted by a doctor or health worker should get their supplies directly delivered to them rather than coming to queue at the facility. This will obviously reduce queues at health facilities,” says Maila. He also said that the Department is finding ways to manage queues at reception in order to direct patients according to their specific needs. The deputy executive director of the Wits Reproductive Health and HIV Institute, Professor Francois Venter, says that there needs to be a change in the systems at clinics so that patients can be streamed more efficiently through the process. “What happens is that there is an intense burst of energy in the morning and things quiet down in the afternoon,” he says. Venter believes that there needs to be a more integrated way of treating patients so that they do not waste time waiting in queues. He also says that people aren’t held accountable for the problems in clinics. “There is a lot that could be done but there is no easy answer,” Venter says. Peperduur loodsprojekte waarmee die regering wou wys sy nasionale gesondheidsversekering (NGV) kan werk, het ineengestort binne maande nadat die bestuur daarvan aan provinsies oorgedra is. Hierdie projekte was ’n volslae mislukking, sê dokters en kenners – maar dr. Aaron Motsoaledi, minister van gesondheid, beskryf dit as ’n sukses. Die begroting vir die NGV is in die huidige boekjaar meer as verdubbel van R735 miljoen tot R1,7 miljard. Belastingbetalers het die afgelope ses jaar altesame R4,3 miljard gehoes ter voorbereiding van die NGV. Dr. Anban Pillay, adjunk-direkteur-generaal verantwoordelik vir die NGV, het aan Rapport bevestig die provinsies het die loodsprojekte op 1 April 2018 oorgeneem. Drie NGV-dokters met wie Rapport gepraat het, sê egter die wiele het reeds afgeval in minstens die Oos-Kaap, Limpopo en Noordwes. Die dokters is met mekaar in verbinding deur ’n WhatsApp-groep. In die Oos-Kaap is die NGV-dokters in die pad gesteek, in Limpopo is die oorgrote meerderheid van dokters laat gaan en die Noordwes-gesondheidsdepartement is in so ’n benarde toestand dat dit onder nasionale administrasie geplaas is om weer basiese dienslewering te hervat. In Noordwes verskaf net 39% van staatsfasiliteite aanvaarbare diens, het die interministeriële taakspan bevind. ’n Oos-Kaapse dokter sê sy is R78 000 per maand betaal en deur die jare “mislei” om te glo sy gaan met die projek kan aangaan totdat die NGV ten volle in werking tree. 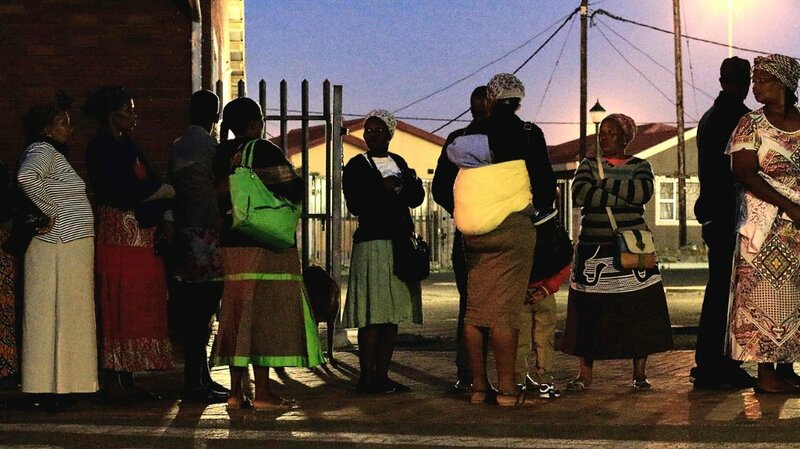 In Gauteng is die programme amptelik verleng, maar ’n dokter in dié provinsie sê hulle is eers die afgelope week vir die laaste drie maande se werk betaal. Volgens dié dokter is hulle onseker oor hoe lank hulle nog hul werk gaan behou. “Die provinsiale departement van gesondheid weier om vir ons antwoorde te gee. Die regering het in 2012 die loodsprojekte in tien distrikte oor die land heen begin en dit onmiddellik uitgekontrakteer aan ’n maatskappy genaamd Foundation for Professional Development (FPD). FPD is ’n winsgewende entiteit verbonde aan die Suid-Afrikaanse Mediese Vereniging (Sama). FPD het dokters gekontrakteer om aan die NGV-program deel te neem en ook die doeltreffendheid daarvan gemonitor. Dr. Gustaaf Wolvaardt, besturende direkteur van FPD, sê die projek was ’n sukses voordat dit einde Maart aan die provinsies oorgedra is. Russell Rensburg van die Rural Health Advocacy Project, sê die rede waarom die projekte in duie stort, is omdat die provinsies nie in staat is om finansiële bestuur toe te pas nie en nie die vermoë het om poste te vul en gesondheidsdienste te lewer nie. Dr. Paula Armstrong, senior ekonoom van Econex, sê die verwikkelinge plaas ’n groot vraagteken agter die departement se vermoë om die NGV op ’n nasionale vlak te implementeer. Volgens haar is dit ook onduidelik presies wat die departement met die miljarde rande gedoen het wat reeds bestee is. Motsoaledi het verlede week met die bekendstelling van die wetsontwerp oor die NGV gesê die loodsprojekte was ’n sukses. Volgens hom is 6 miljoen mense op ’n sentrale databasis geregistreer en uitreikspanne van die loodsprojekte het 900 000 mense by hul huise besoek om dienste te lewer. Hy het gesê sedert 2012 is R1,7 miljard bestee aan nuwe toerusting en meer as R40 miljard om hospitale en klinieke op te knap. Dié uitgawes kom egter uit ander begrotings as die NGV s’n. Die NGV-projekte was volgens Motsoaledi “moeder-en-kindgesondheidsprogramme, streek-spesialisspanne en primêre gesondheidsprojekte”. Prof. Alex van den Heever, gesondheidsekonoom verbonde aan die Universiteit van die Witwatersrand, sê die loodsprojekte het “klaaglik misluk”. “Dit is duidelik dat die departement moes rondskarrel om projekte te vind om met geld van die NGV te finansier,” sê hy. Oudits van die gesondheidsombud strook met Van den Heever se waarneming. In die ombud se jongste verslag sê hy daar was nie ’n beduidende verskil in die gehalte van die gesondheidsfasiliteite wat deel was van die NGV-loodsprojekte en gehalte van die gesondheidsfasiliteite wat deel was van die NGV loodsprojekte en ander nie. “Die laagste prestasie-telling vir ’n NGV-proefdistrik was 42% vir die Vhembe-distrik, terwyl die hoogste vir die Tshwane-distrik op 70% was. Vier NGV-proefdistrikte se telling was minder as 50%, wat beteken dat hulle nie aan die nasionale norme en standaarde vir goeie gesondheidsorg voldoen nie,” lui die verslag. Pillay sê die ombud se verslag is ’n “verkeerde maatstaf” vir hoe doeltreffend die NGV-loodsprojekte was. Pillay sê die NGV-projek het nié ontspoor soos kritici sê nie. Motsoaledi het in Julie verlede jaar deur ’n proklamasie in die Staatskoerant sewe ministeriële advieskomitees gestig wat hom moet help om die NGV te ontwerp. Die Life Bay View-private hospitaal in Mosselbaai is vanjaar vir die derde agtereenvolgende keer onder die 20 beste hospitale in die land volgens die jongste meningsopname onder pasiënte van Discovery Health. Hoewel dit baie verblydende nuus is te midde van die landwye krisis waarin gesondheidsdienste gedompel is, kan 'n mens nie help om te vra wat van die 85 % Mosselbaaiers wat NIE die peperduur mediese skemas kan bekostig nie en derhalwe noodgedwonge afhanklik is van die oorvol staatshospitale en klinieke wat onder kritieke geld- en personeeltekorte gebuk gaan? Die resultate van die nuutste peiling onder pasiënte wat Discovery Health uitgevoer het om die beste hospitale in die land aan te wys, toon sewe hospitale wat al vier jaar agtereenvolgens op die lysie is. hospitale waar hulle in 2017 opgeneem is. Die lys is uit 140 hospitale saamgestel. Life Healthcare, en die onafhanklike netwerk van hospitale wat lede van die National Hospital Network (NHN) is, het die meeste hospitale op die lys. Netcare het net een hospitaal op die lys. NHN het die meeste hospitale wat reeds vier jaar agtereenvolgens op die lys is. Die twee hospitale wat verlede jaar drie jaar agtereenvolgens op die lys was en nou uitgeval het, is die Mediclinic Stellenbosch en die Midvaal- private hospitaal (Vereeniging, Gauteng). Dié wat nou die derde jaar agtereenvolgens op die lys is, is die Gateway- private hospitaal en Life Bay View- private hospitaal. Die Netcare N1 City-hospitaal is die tweede jaar agtereenvolgens op die lys. Ahmed Al-Kadi; eThekwini; Gateway; Hillcrest; Lowveld; Nu-Shifa; Wilmed Park; en Zuid-Afrikaans. Dr. Elsabé Conradie, uitvoerende hoof van NHN, sê vyf van die agt is al vier jaar agtereenvolgens op die lys. NHN is in 1996 gestig om private hospitale wat onafhanklik besit word, onder een sambreel te plaas. Met onafhanklik word bedoel dat die hospitale nie deur een van die groot genoteerde hospitaalgroepe besit of beheer word nie. Sy lede sluit 213 hospitale in. Discovery sê die inligting van die peiling word openbaar gemaak om die bestuur van hospitale aan te moedig om hul pasiënte se sienings ernstig op te neem. Volgens dr. Roshini Moodley Naidoo, hoof van die gehalte van sorg by Discovery Health, help dit om die pasiënte se ervaring van die sorg wat hulle in hospitale ontvang, openbaar te maak. Dit is nie net om erkenning aan uitnemendheid te gee nie, maar ook geleenthede te skep om gapings aan te pak. ander hospitaal gaan, word ’n peiling ook gedoen. 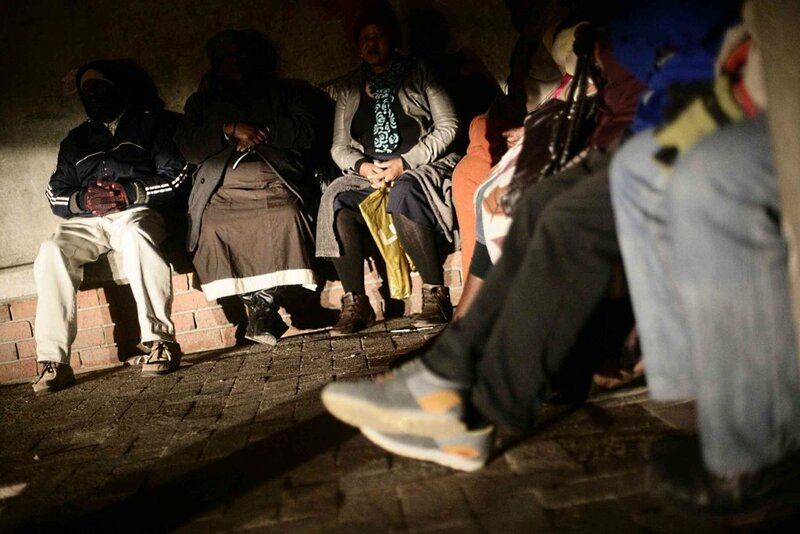 personeel; die gehalte van dokters se sorg; die hospitaalomgewing; pynbestuur; inligting wat aan die pasiënte gegee word oor hul medikasie; inligting wat aan die pasiënte gegee word oor hul ontslag uit die hospitaal, en ’n algehele telling. Moodley Naidoo sê daar is in sekere kategorieë die afgelope jare voortdurende vordering gesien. Dit kategorieë wat deurlopend die hoogste punte kry, is kommunikasie deur dokters en pynbestuur. Volgens haar is ’n goeie verbetering gesien in die inligting wat oor medikasie gegee word, en in die kommunikasie deur verpleegpersoneel. Waar daar ’n verbetering nodig is, is met die ontslag van pasiënte. “Pasiënte wat goed voorbereid is op hul ontslag uit die hospitaal, het ’n beter kans om gesond te bly en sal minder waarskynlik weer opgeneem word. Kragtens die Wetsontwerp op Nasionale Gesondheidsversekering sal mediese fondse nog bestaan vir aanvullende dienste wat nie deur Nasionale Gesondheidsversekering (NGV) gedek word nie. Belanghebbendes het nou drie maande om kommentaar te lewer. Van die belangrikste kwessies vir verbruikers wat die wet uiteensit, volg hier onder. Wie kan lid van die fonds wees? Benewens alle Suid-Afrikaanse burgers (insluitende gevangenes) sal mense met permanente verblyfreg ook lid van die fonds kan wees. Vlugtelinge en asielsoekers wat nie vlugtelingstatus het nie sal die NGV se nooddienste en dienste vir aanmeldbare toestande kan benut. Hulle sal ook toegang kry tot pediatriese dienste en dienste vir swanger vroue op primêre gesondheidsvlak. ’n Tydelike inwoner sal verpligte reisversekering moet uitneem om toegang tot noodbehandeling en ander dienste te kry ingevolge die versekeringskontrak. ’n Pasiënt kan net deur ’n geakkrediteerde en gesertifiseerde diensverskaffer behandel word as hy as lid van die NGV-fonds geregistreer is. 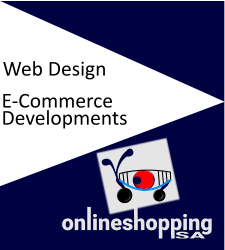 ’n Lid moet ook sy afhanklikes registreer. ’n Persoon tussen 12 en 18 jaar kan aansoek doen om te registreer as hy nie reeds as ’n afhanklike geregistreer is nie. ’n Geakkrediteerde instelling sal die nommers uitreik en moet ’n register van begunstigdes en hul afhanklikes byhou. Die wetsontwerp lys talle regte van die lede van die fonds, soos om “gehalte gesondheidsdienste gratis by gesertifiseerde en geakkrediteerde gesondheidsdiensverskaffers te kry. Dit sluit ook in om toegang tot die dienste (soos operasies) te kry binne ’n redelike tyd”. Die regte sluit in om “aanvullende gesondheidsvoordele te koop wat nie deur die fonds gedek word nie op ’n vrywillige basis van ’n mediese fonds” of enige ander gesondheidsversekering, of dit self te betaal. ’n Gebruiker sal ’n spesifieke verwysingsroete moet volg, anders gaan die fonds nie vir die dienste opdok nie. Daar is ook sekere omstandighede waaronder nie betaal gaan word nie, soos onder meer as ’n dokter redelikerwys kan toon daar was geen mediese rede vir die diens nie. Lede sal by ’n dokter (of ’n verskaffer van primêre gesondheidsorg) van sy keuse geregistreer moet wees wat eers besoek moet word om die voordele van die fonds te benut. ’n Lid sal nie ’n spesialis of hospitaal mag besoek sonder ’n verwysing van dié dokter nie, behalwe in ’n noodgeval. Die advieskomitee oor voordele sal saam met die minister en die NGV-raad bepaal watter dienste of voordele aangebied gaan word. Die komitee sal onder meer die finansies van die NGV-fonds in ag moet neem wanneer bepaal word watter voordele aangebied word. Dekking Vir die verbruiker beteken hy gaan gesondheidsdienste ontvang van ’n gesertifiseerde en geakkrediteerde diensverskaffer teen geen koste by die punt van verskaffing nie. Die NGV-fonds moet help met die ontwikkeling en instandhouding van ’n nasionale bewaarplek en datastelsel vir gesondheidsinligting. * Besonderhede van die behandeling; diagnostiese toetse wat aangevra is; hoe lank ’n persoon in die hospitaal gebly het; en waarheen ’n persoon verwys is. Die fonds kan dié inligting gebruik om sy prestasie te monitor en sy werksaamhede te verfyn. Daar sal bepalings en voorwaardes wees ten opsigte van die openbaarmaking van dié inligting. Die wetsontwerp sit uiteen hoe klagtes gehanteer sal word. Appèl sal by ’n appèltribunaal aangeteken kan word teen ’n besluit van die fonds. Die magte van die tribunaal is dieselfde as dié van die hooggeregshof en mense sal gedagvaar kan word om te getuig. Die wetsontwerp maak voorsiening vir boetes as iemand byvoorbeeld vals inligting aan die fonds gee of die geld gebruik vir ’n doel waarvoor dit nie bedoel is nie. ’n Boete van tot R100 000 en tronkstraf van vyf jaar of albei kan opgelê word. Die voorgestelde Nasionale Gesondheidsversekering (NGV) gaan nie “lede hê nie, maar slagoffers”, sê Piet le Roux, uitvoerende hoof van AfriSake. met sy toenemende nasionalisering van die gesondheidsorgbedryf”. Dit kom nadat Motsoaledi verlede week die Wetsontwerp op NGV en die Wysigingswetsontwerp op Mediese Skemas vir kommentaar uitgereik het. Motsoaledi het Donderdag bevestig dat alle Suid-Afrikaners tot NGV sal moet bydra. Le Roux sê Motsoaledi hou aan fokus op die “goeie bedoelings” van NGV sonder om die “moeiliker vrae” te beantwoord. Motsoaledi het toegegee daar is geen finale besluit oor hoe NGV gefinansier gaan word nie. In die witskrif oor die NGV wat in 2016 vir kommentaar uitgereik is, was die geprojekteerde koste vir die 2026-boekjaar ongeveer R256 miljard (bereken teen N2010-pryse), oftewel 6,2% van die geprojekteerde bruto binnelandse produk (BBP) vir die 2026-boekjaar, sê Le Roux. “Die 2010-projeksies was egter gegrond op ’n ekonomiese groeikoers van minstens 3,5% per jaar, wat tans onbereikbaar lyk. Daarom sal die werklike finansieringskoste waarskynlik die projeksie van 6,2% BBP in die 2026-boekjaar ver oorskry. Le Roux reken die koste gaan nader aan 12% van die BBP wees. Le Roux sê ook: “Die minister bly sy kleuterrympie herhaal dat die rykes die armes moet subsidieer, en dat die gesondes die siekes moet subsidieer, en stedelinge die platteland, en hy steur hom glad nie aan die moontlike markverwringing en ontmoediging van so ’n stelsel nie. Le Roux lewer ’n pleidooi dat die openbare gesondheidsorgstelsel eers “dramaties verbeter moet word” voordat die NGV in werking gestel word. “Dis chaoties as gevolg van rompslomp en onbevoegdheid wat onlangs daartoe gelei het dat mediese poste vakant bly terwyl pas afgestudeerde dokters wag om geplaas te word. Motsoaledi het Donderdag gesê hy is bewus van dié argument en dat swak staatshospitale ’n “groot stok” geword het om NGV mee te slaan. Die minister het gesê openbare gesondheidsorg sal nooit perfek wees nie en hulle kan nie langer wag met die inwerkingstelling van NGV nie. Die voorgestelde NGV gaan ’n ramp wees, glo die Afrikaanse sakeliggaam AfriSake. Die markondersoek na private gesondheidsorg het kommerwekkende bevindings aan die lig gebring en bevestig in baie gevalle wat verbruikers al jare weet. Hier is sewe van die belangrikstes. Afgetrede hoofregter Sandile Ngcobo, voorsitter van die ondersoekkommissie (op foto), het gesê die ontleding van die eise van mediese skemas toon dat daar rede tot kommer oor die styging in mediese kostes is. Die inligting van 2010 tot 2014 oor eise het getoon dat die besteding van ’n lid van ’n mediese skema met 9,2% per jaar gestyg het. As die syfers oor hospitaalopnames vir ouderdom aangepas word, is dit hoër as 17 van die Organisasie vir Ekonomiese Samewerking en Ontwikkeling (OESO) se lande. Vir sewe spesifieke operasies wat op diskresie gedoen word, is ses se gebruik hoër as die gemiddelde vir die lande. Vir vier van die operasies, waaronder katarakte, mangels, gewrigsvervangings en keisersneë, is die gebruik in Suid-Afrika se private sektor hoër as in alle ander lande. Boonop is die opnames in hoësorgeenhede buitengewoon hoog. Ngcobo sê as die opnames in hoësorgeenhede gehalveer word, kan sowat R2,7 miljard per jaar bespaar word. Dit is sowat 2% van die besteding op private gesondheidsorg per jaar, volgens hom. In die markondersoek is bevind dat daar ’n wesenlike positiewe verband tussen die kans om opgeneem te word en meer dokters en hospitaalbeddens in ’n gebied is. Daar is ook ’n positiewe verband tussen die kans om in die hoësorgeenheid opgeneem te word en die getal van dié beddens in die gebied. Die private hospitaalmark is hoogs gekonsentreerd. Op ’n nasionale vlak het die drie grootste hospitaalgroepe ’n markaandeel van sowat 90% gegrond op die hospitaalopnames en meer as 83% van die geregistreerde beddens. In die meerderheid van streke is die vlakke van konsentrasie ook kommerwekkend hoog. Een van die probleme hiermee is dat die drie groot hospitaalgroepe – Netcare, Mediclinic en Life Healthcare – nie uitgesluit kan word wanneer vir kontrakte onderhandel word nie en dit verminder mediese skemas se bedingingsmag. In die markondersoek word aanbeveel dat die hoë konsentrasie aandag geniet. Daar is ook te min daghospitale. Oor mediese skemas het hy gesê daar is min aansporing om te verseker dat skemas se personeel, trustees en hoofbeamptes in die beste belang van die verbruikers optree en administrateurs verantwoordbaar hou. Tans het administrateurs meer ontledingsvermoë en kundigheid as skemas en dit kom voor of administrateurs namens die skemas besluite neem, selfs oor belangrike kwessies soos strategie. “Die skeiding tussen nie-winsgewende skemas en winsgewende administrateurs lyk dikwels kunsmatig, veral groot oop skemas. Gevolglik is daar onvoldoende druk van skemas op administrateurs om beter waarde vir geld te lewer of om niegesondheidskostes te verlaag.” Die mededinging in die mark is nie effektief nie. Hoewel daar 22 oop skemas is, is die mark gekonsentreerd omdat twee mediese skemas sowat 70% van die lede en afhanklikes in die mark het. Die oorheersing van Discovery Health Medical Scheme (DHMS) word uitgelig omdat dit 55% van die oop skemas se lede het. Die administrateurs is ook hoogs gekonsentreerd omdat Discovery Health (DH) en Medscheme 76% van die mark het gegrond op totale premies per jaar. Die markondersoek glo mededinging kan baie beter wees. Die markondersoek verwys na die gedeelde eienaars van DH, MMI (wat Medscheme en Metropolitan administreer) en Mediclinic (wat Remgro is). “Ons glo die gedeelde eienaarskap tussen die twee groot administrateurs en ’n groot hospitaalgroep kan die strategiese rigting beïnvloed en mededinging op lang termyn afkoel. Verbruikers kan nie ’n vergelyking tref tussen die opsies wat mediese skemas bied nie. Sowat 270 opsies of planne word aangebied maar verbruikers kan dit nie vergelyk of daaruit kies op grond van waarde vir geld nie. “Ons verskil van administrateurs van oop mediese skemas en die selfgeadministreerde mediese skemas dat die kompleksiteit innovasie weerspieël. “Dit is eerder dat die doelbewuste manier hoe hierdie aanbiedinge verpak en geprys word, mediese skemas toelaat om prysmededinging te voorkom of te verswak.” Die markondersoek sê talle opsies is ’n gevolg van ’n onvolledige wetsomgewing en dit het die vorm van mededinging wat in die mark vir mediese skemas aangetref word, beïnvloed. Talle aanbevelings wat uiters ongewild gaan wees onder verskaffers maar wat deur verbruikers verwelkom gaan word, word gedoen in die voorlopige verslag van die markondersoek na private gesondheidsorg. Afgetrede hoofregter Sandile Ngcobo, voorsitter van die ondersoekkommissie, sê omdat die markondersoek talle kwessies geïdentifiseer het wat mededinging beperk, is die aanbevelings daarop gemik om dít teen te werk. Jy kan die aanbevelings ook self lees in die verslag hieronder. Die belangrikste kwelpunt oor hospitale is die hoë vlak van konsentrasie in die mark. Die Wet op Nasionale Gesondheid van 2003 maak voorsiening dat behoeftesertifikate hospitaal-lisensies vervang, maar dit is nog nie gedoen nie. Ngcobo vra dat dit so gou moontlik toegepas word. Dit sal vir alle gesondheidsinstellings geld: daghospitale, klinieke, tandartse en spreekkamers. Die markondersoek het talle opsies oorweeg om die hoë vlakke van konsentrasie die hoof te bied, waaronder die verkoop van hospitale en om ’n verbod te plaas op nuwe lisensies aan die drie groot hospitaalgroepe – Netcare, Life Healtchare en Mediclinic. Aan die verskafferskant was daar nog nooit werklik ’n toegewyde reguleerder soos wat mediese fondse ’n Raad op Mediese Skemas het nie. Ander lande het wel so ’n reguleerder. “In Suid-Afrika is verskaffers in die algemeen gelos om in ’n gefragmenteerde, swak toegepaste wetgewende omgewing te werk.” Die markondersoek beveel onder meer ’n onafhanklike openbare entiteit as reguleerder vir verskaffers aan. Ngcobo sê talle klagtes is ontvang oor die “prysvakuum” wat dit moeilik maak om die koste van verskaffers te vergelyk. Die twee voorstelle behels: ’n Regulatoriese oplossing waar die nuwe reguleerder van verskaffers die pryse bepaal ná konsultasie met rolspelers op ’n openbare forum; of ’n Platform waar rolspelers onderhandel oor pryse en ’n ooreenkoms bereik binne ’n raamwerk wat deur die nuwe reguleerder bepaal word. In albei gevalle sal ’n arbiter dispute oor pryse oplos. Die markondersoek beveel aan dat die pryse van voorgeskrewe minimum voordele (VMV’s) vasgestel word terwyl ander dienste en produkte se pryse volgens ’n verwysingspryslys bepaal sal word. Die opsies van mediese fondse moet vereenvoudig word deur een opsie te hê wat dieselfde vir alle fondse is. Die opsie is verpligtend vir alle fondse en moet “katastrofiese” mediese uitgawes (ingesluit die huidige voorgeskrewe minimum voordele) dek asook voorkomende en primêre gesondheidsorg buite hospitale. Die opsie moet op dieselfde manier deur alle fondse aangebied word sodat dit maklik is om te vergelyk. Aanvullende dekking kan dan ontwikkel word vir die dienste wat nie in die basiese opsie is nie. Om seker te maak die basiese opsie is geskik, moet die VMV’s wat fondse verplig is om te dek hersien word sodat dié voordele buite die hospitaal aangebied kan word. Dit sal die huidige aansporing verwyder om pasiënte in die hospitaal op te neem vir VMV’s. Die voordele moet uitgebrei word om primêre en voorkomende gesondheidsorg in te sluit. Die nuwe VMV’s moet hospitaalplanne uitgedien maak. Mediese fondse versoek al jare lank ’n risikogelykmakingsfonds. Dit het nooit in wetgewing gerealiseer nie, hoewel dit die bedoeling was. Omdat fondse nie mag diskrimineer teen mense op grond van ouderdom of siekte nie, kry sekere fondse swaarder as ander. So ’n meganisme sal die koste van eise versprei tussen fondse. “In beginsel sal van fondse vereis word om geld in ’n risikogelykmakingsfonds te stort gegrond op hul onderskeie risiko. Dus sal fondse met lae risiko geld inbetaal, terwyl fondse met hoë risiko subsidies van die fonds kry,” lui die voorlopige verslag. Hospitale loop die ergste deur onder kritiek in die verslag. Daar word aanbeveel dat belastingkrediete (’n belastingvoordeel vir mediesefondslede wat hul premie verlaag) hersaamgestel word in die vorm van ’n bydraesubsidie wat deur die fonds geadministreer word eerder as deur die SuidAfrikaanse Inkomstediens. Dit sal laerinkomstegroepe help om premies te bekostig. Verskeie aanbevelings word gedoen om te verseker dat fondse in belang van lede optree deur administrateurs aanspreeklik te hou. Dit sluit in maatreëls om beheer te versterk sodat fondse groter druk op administrateurs kan plaas om waarde te skep vir lede, asook maatreëls wat die Raad op Mediese Skemas (RMS) in staat sal stel om groter toesig oor fondse te hou. Lede van mediese fondse moet kan kies of hulle ’n makelaar wil gebruik. Lede wat nie ’n makelaar gebruik nie, moet minder betaal. GOING BANANAS? YOU ARE ON THE RIGHT TRACK! Bananas are perhaps one of nature’s most under-rated fruits. The yellow skinned fruits are easy to overlook, especially when it seems as if there’s always some new and exotic type of fruit that’s being touted as the next big thing. However, the fact remains that bananas are a tasty super food that can give our bodies all the good stuff it needs to thrive. They’re packed full of nutrients, vitamins, fiber, and all-natural sugars, like sucrose and fructose. That’s part of the reason why eating bananas regularly can help to keep the doctor away. However, the more dark patches a banana appears to have, the more ripe it is, and the more TNF it contains. TNF stands for Tumor Necrosis Factor, and it’s a cancer fighting substance that helps fight against abnormal cells in our bodies. Specifically, TNF helps to assist communication between cells in our immune response system and it guides the movement of cells towards areas in our bodies which are inflamed or infected. Research has confirmed that the TNF found in ripe bananas interferes with tumor cells growth and inhibits them from spreading by causing cell death, or apoptosis. This, in conjunction with the high levels of antioxidants which are also found in bananas, boosts our immune systems and can increase our white blood cells as well. The next time you see a banana with brown spots, don’t pass it over. Instead, eat it up and give your body a mini-health boost and some extra energy. 1) Heartburn- Bananas are nature’s anti-acid and can provide relief from heartburn and acid reflux. Eating just one banana can immediately bring soothing relief and lessen your heartburn symptoms. 2) Blood Pressure- Bananas help to lower blood pressure and protect against stroke or heart attack because they are low in sodium and high in potassium, making them a heart healthy food. 3) Energy- Eating a banana or two before a workout gives you enough energy to last an hour or more. The low glycemic carbohydrates, vitamins, and minerals all support your body increase endurance, while potassium helps to prevent muscle cramps. 4) Anemia- They can help those with anemia by providing much needed dietary iron, which stimulates red blood cell and hemoglobin production and strengthens the blood supply. 5) Ulcers- When you suffer from stomach ulcers many foods are off limits, but bananas can be eaten without having to worry about whether or not they’ll cause pain. That’s because their smooth, soft, mushy texture coats the stomach lining and protects it against corrosive acids and irritation. 6) Depression- They can help overcome depression because they have high levels of tryptophan, which our bodies convert into serotonin. Serotonin is a brain neurotransmitter that makes people relax, feel happy, and improves mood. Thus, bananas can help people feel better and beat depression. 7) Constipation- If you are clogged up, eat a few bananas. They have enough fiber in them to stimulate regular bowel movements and provide natural relief for constipation. 8) Nerves or PMS- When you’re feeling moody and stressed, eat a banana. They help to regulate blood sugar and are rich in B vitamins, which naturally calm the nervous system and make people relax, resulting in an overall improved mood. 9) Temperature Control- Eating a banana on a hot day can cool you off by lowering your body temperature. The same is true for it you have a fever. Bananas are extremely healthy and delicious. They contain several essential nutrients, and have benefits for digestion, heart health and weight loss. Aside from being very nutritious, they are also a highly convenient snack food. Here are 11 health benefits of bananas that are supported by scientific research. Bananas are among the most popular fruits on earth. Native to Southeast Asia, they are now grown in many warmer parts of the world. There are many types of bananas available, which vary in color, size and shape. The most common type is the yellow banana, which is green when unripe. Potassium: 9% of the RDI. Vitamin B6: 33% of the RDI. Vitamin C: 11% of the RDI. Magnesium: 8% of the RDI. Copper: 10% of the RDI. Manganese: 14% of the RDI. Each banana contains only about 105 calories, and consists almost exclusively of water and carbs. Bananas contain very little protein and almost no fat. The carbs in unripe (green) bananas consist mostly of starch and resistant starch, but as the banana ripens, the starch turns into sugar (glucose, fructose and sucrose). BOTTOM LINE:Bananas are rich in fiber, antioxidants and several nutrients. A medium-sized banana contains about 105 calories. Bananas are rich in a fiber called pectin, which gives the flesh its structural form (4). Unripe bananas contain resistant starch, which acts like soluble fiber and escapes digestion. Both pectin and resistant starch may moderate blood sugar levels after meals, and reduce appetite by slowing stomach emptying (5, 6, 7). Furthermore, bananas also rank low to medium on the glycemic index, which is a measure (from 0–100) of how quickly foods increase blood sugar levels. The glycemic value of unripe bananas is about 30, while ripe bananas rank at about 60. The average value of all bananas is 51 (8, 9). This means that bananas should not cause major spikes in blood sugar levels in healthy individuals. However, this may not apply to diabetics, which should probably avoid eating lots of well-ripened bananas and monitor their blood sugars carefully when they do. BOTTOM LINE:Bananas contain nutrients that can help moderate blood sugar levels after meals. They may also reduce appetite by slowing stomach emptying. Dietary fiber has been linked to many health benefits, including improved digestion. A medium-sized banana contains about 3 grams of fiber, making bananas a fairly good fiber source (10). Resistant starch escapes digestion and ends up in our large intestine, where it becomes food for the beneficial gut bacteria (11, 12, 13). Additionally, some cell studies propose that pectin may help protect against colon cancer (14, 15). BOTTOM LINE:Bananas are fairly rich in fiber and resistant starch, which may feed the friendly gut bacteria and help protect against colon cancer. No study has directly tested the effects of bananas on weight loss. However, bananas do have several features that should make them a weight loss friendly food. For starters, bananas contain relatively few calories. An average banana contains just over 100 calories, yet it is also very nutritious and filling. They are also rich in fiber. Eating more fiber from fruit and vegetables has repeatedly been linked with lower body weight and weight loss (16, 17, 18). Furthermore, unripe bananas are packed with resistant starch, so they tend to be very filling and may reduce your appetite (19, 20). BOTTOM LINE:Bananas may help with weight loss. They are low in calories, high in nutrients and fiber, and may have appetite-reducing effects. Potassium is a mineral that is essential for heart health, especially blood pressure control. Yet despite its importance, most people are not getting enough potassium in their diet (21). Bananas are a great dietary source of potassium. One medium-sized banana (118 grams) contains 9% of the RDI. A potassium-rich diet can help lower blood pressure, and people who eat plenty of potassium have up to a 27% lower risk of heart disease (22, 23, 24, 25). Furthermore, bananas contain a decent amount of magnesium, which is also important for heart health (26, 27). BOTTOM LINE:Bananas are a good dietary source of potassium and magnesium, two nutrients that are essential for heart health. Fruits and vegetables are excellent sources of dietary antioxidants, and bananas are no exception. They contain several types of potent antioxidants, including dopamine and catechins (1, 2). These antioxidants have been linked to many health benefits, such as a reduced risk of heart disease and degenerative diseases (28, 29). However, it is a common misunderstanding that the dopamine from bananas acts as a feel-good chemical in the brain. In reality, dopamine from bananas does not cross the blood-brain barrier. It simply acts as a strong antioxidant instead of altering hormones or mood (2, 30). BOTTOM LINE:Bananas are high in several antioxidants, which may help reduce damage from free radicals and lower the risk of some diseases. Resistant starch is a type of indigestible carbohydrate found in unripe bananas, which functions sort of like soluble fiber in the body. As a rule of thumb, you can estimate that the greener the banana is, the higher the amount of resistant starch it contains (31). On the other hand, ripe (yellow) bananas contain lower amounts of resistant starch and total fiber, but proportionally higher amounts of soluble fiber. Both pectin and resistant starch have been shown to have appetite-reducing effects and increase the feeling of fullness after meals (20, 32, 33, 34). BOTTOM LINE:Bananas contain high amounts of resistant starch or pectin, depending on ripeness. Both may reduce appetite and help keep you full. Insulin resistance is a major risk factor for many of the world's most serious diseases, including type 2 diabetes. Several studies have shown that 15–30 grams of resistant starch per day may improve insulin sensitivity by 33–50%, in as little as 4 weeks (35, 36). Unripe bananas are a great source of resistant starch, and may therefore help improve insulin sensitivity. However, the reason for these effects is not well understood, and not all studies agree on the matter (35, 37). BOTTOM LINE:Unripe bananas are a good source of resistant starch, which may improve insulin sensitivity. However, more research is needed. Potassium is essential for blood pressure control and healthy kidney function. As a good dietary source of potassium, bananas may be especially beneficial for maintaining healthy kidneys. One study in women showed that over 13 years, those who ate bananas 2–3 times per week were 33% less likely to develop kidney disease (38). Other studies have found that those who eat bananas 4–6 times a week are almost 50% less likely to develop kidney disease, compared to people who don't eat bananas (38, 39). BOTTOM LINE:Eating a banana several times a week may reduce the risk of kidney disease by up to 50%. Bananas are often referred to as the perfect food for athletes, largely due to their mineral content and easily digested carbs. Eating bananas may help reduce exercise-related muscle cramps and soreness, which affect up to 95% of the general population (40). The reason for the cramps is basically unknown, but a popular theory blames a mixture of dehydration and electrolyte imbalance (41, 42, 43). However, studies have provided mixed findings about bananas and muscle cramps. Some find them helpful, while others find no effects (44). That being said, bananas have been shown to provide excellent nutrition before, during and after endurance exercise (45). BOTTOM LINE:Bananas may help relieve muscle cramps caused by exercise. They also provide excellent fuel for endurance exercise. Not only are bananas incredibly healthy -- they're also one of the most convenient snack foods around. Bananas make a great addition to your breakfast yogurt, cereal or smoothie. You can even use them instead of sugar in your baking and cooking. Furthermore, bananas rarely contain any pesticides or pollutants, due to their thick protective peel. Bananas are incredibly easy to eat and transport. They are usually well-tolerated and easily digested, and simply have to be peeled and eaten.